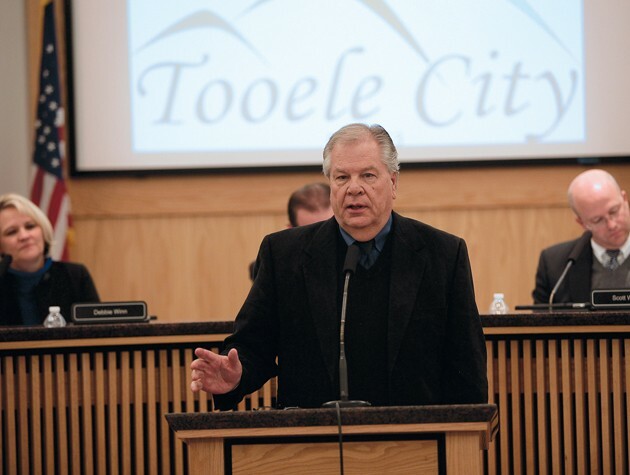 Mayor Patrick Dunlavy delivers the annual State of the City address at Tooele City Hall Wednesday. With new growth in the economic and education spheres, Dunlavy said the state of the city is better than ever. Dunlavy began his annual State of the City address with a tribute to Unified Police Officer Doug Barney. Barney was killed Jan. 17 while on duty in Holladay, Utah. Following the tribute, Dunlavy talked about the success of the city’s wastewater reclamation plant, which was upgraded in 2012; its two new wells, installed in 2014, which reportedly increased the city’s culinary water by about 50 percent; and more than $14 million spent on road upgrades and maintenance since he took office in 2005. He said 2015 was very successful for the city in terms of economic development, citing the opening of Cabela’s Distribution Center, Airgas, and other businesses in Tooele. 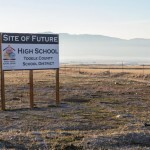 In addition, Dunlavy expressed gratitude to the Tooele County commissioners and Grantsville Mayor Brent Marshall, who work jointly with Tooele City on the new Tooele Valley Economic Development Board. 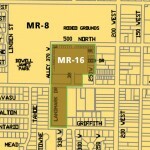 The board provides a united effort to recruit new businesses into the valley. Dunlavy also called Utah State University’s new science and technology building “a wonderful addition” to the city’s education corridor. With all the projects the city has completed and hopes to complete in the near future, Dunlavy added assurances that Tooele’s finances are solid, and promised that 2016 held no tax increases for city residents. “Living within our means allows us to not raise taxes again this year,” he said. However, the city does have some projects on hold, such as building a new fire station, while it seeks funding, he added. To conclude his address, Dunlavy thanked the city council, city staff and his family for their support. Then he thanked the citizens.